If you are thinking of buying the dwarf rabbit, it is best to buy rabbit that is 8 weeks old. Never buy rabbit that is younger than that because it will only die after a few days you bring it home. Rabbits younger than 8 weeks will need to be breast fed and separating it from it mother will be a detrimental act. There are many cases of people having to face such situation because they bought dwarf rabbits from unknown breeders. It is important that you buy the rabbits from reputable breeders or pet stores. It is also important for you to know about dwarf rabbit care. It is essential for you to learn about the way to care for the tiny rabbit. With the right care the rabbit will have a healthy and prosperous life with you. It is not easy to determine the gender of the dwarf rabbit when it is still young. It is only after 4 months old that you will know the real gender of the rabbit. The cute rabbit is fun and playful. It love human attention and for that you must spare some time for the rabbit so that it will be emotionally healthy. The rabbit should not be place in a crowded cage because this will only cause stress to the little bunny. Stress can lead to a fatal outcome for the rabbits. The rabbit will need your affection because it really important for the little guy. You should also take the rabbit to the vet so that it will get the necessary medical check-up. If you find the rabbit is sick, it is recommended that you bring the rabbit to the vet and you should never try to treat it yourself. The dwarf rabbit is an active animal and it need to be active to remain healthy. You should never constraint the movement of the rabbit. However, if you let it out of the cage, please ensure the surrounding area is free from dangerous items. The dwarf rabbit care is not only about caring the rabbit physical but also the surrounding area where the rabbit will come into contact. The bunny is known for it mischievous behavior and it is better for you to hide any dangerous object that the bunny can hurt itself with. 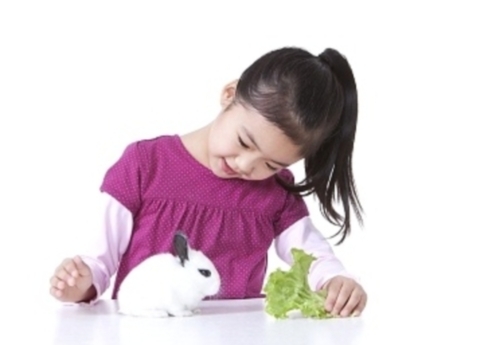 Children can also play with the little bunny, but because of the small and fragile state of the bunny, it is important that adult is also present to monitor children when playing with the rabbit. The dwarf rabbit care books can be found in the library or better yet you just surf the internet and look for information how to properly care for the little bunny. Reading materials from the internet will help you to enhance your knowledge about caring for the dwarf rabbit. There are many things that you need to know before you can really keep the dwarf rabbit as your pet. Love is not enough when keeping the rabbit, it is important that you have the right knowledge to care the tiny bunny.